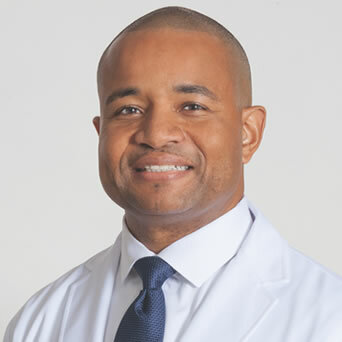 OrthoConnecticut | Randolph Sealey, M.D. 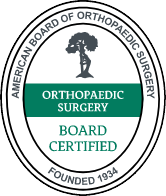 Dr. Randolph Sealey is the only fellowship-trained orthopaedic foot and ankle subspecialist in the greater Danbury area. He acquired his ankle reconstructive surgery expertise during his fellowship at the world-renowned Institute for Foot and Ankle Reconstruction at Mercy Medical Center in Baltimore, Maryland. In 2008, he became the recipient of the prestigious Roger A. Mann Award, the highest clinical research honor given by the American Orthopaedic Foot and Ankle Society. Dr. Sealey has extensive training, ranging from simple hammer toe and bunion correction, to complex tendon and deformity correction (such as in severe flat feet). Dr. Sealey also specializes in the revision of failed foot and ankle procedures and the care of arthritic ankle and foot joints. He has become a major referral resource for complex foot and ankle trauma including tib-fib (pilon), calcaneus, talus, Lisfranc, and metatarsal fractures or dislocations. In addition, Dr. Sealey has broad training in total ankle replacement having completed training at one of the busiest ankle replacement centers in the United States. There are many problems that can be managed without surgery and Dr. Sealey is well versed in nonoperative management for foot and ankle problems, including the use of orthotics and bracing. The phrase "foot doctor" doesn't nearly go far enough to describe the in-depth orthopedic expertise and individualized treatment plans that Dr. Sealey offers his patients. 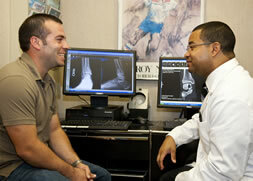 Dr. Sealey is fluent in Spanish and will gladly conduct appointments in Spanish.